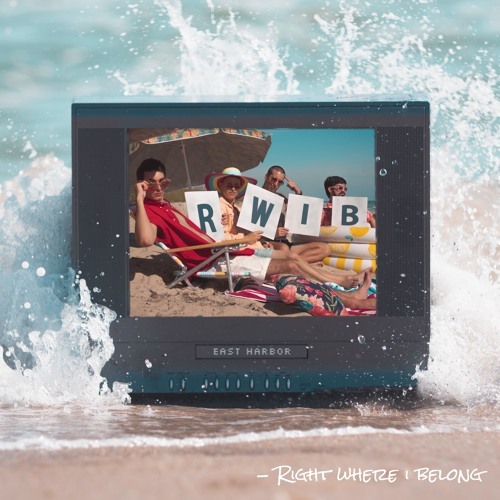 Florida-based up-and-coming alternative-pop band 4-piece band East Harbor are giving us summer vibes with their latest release, R.W.I.B. (Right Where I Belong). I am loving this feel-good track which is perfect for the summer and I think you guys will like it as much as I am. East Harbor deliver an upbeat piece of alt-pop music with distinctive, confidence-driven vocals that flow naturally over the highly infectious production. R.W.I.B. 's melodies are instantly memorable and are packed with groovy bass and percussion, sun-soaked guitar riffs, lush harmonies and just the right amount of shimmering synths that give that feel-good atmosphere to this fun track. You'll be instantly transported to a beach while listening to this song and if you're fans of DNCE, Twenty One Pilots, Fall Out Boy, Coldplay, and Maroon 5, you'll love East Harbor. Check out this gem below! R.W.I.B. is definitely a song that makes it feel like summer all year round. Nothing really matters except the good times.